Acapulco is one of the ultimate travel destinations for newlyweds on their honeymoons and couples looking for a romantic getaway. 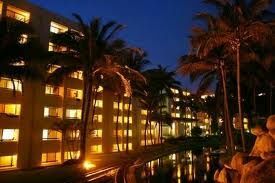 It's the perfect place for lounging on the beach and bringing home a tan that will make your friends green with envy. Acapulco offers a number of exciting activities too, including fun water sports, tours of historic properties and even some of the most beloved golf courses in the world. Before looking at timeshares for sale at other area resorts, find out about everything that Sea Garden Acapulco has to offer. 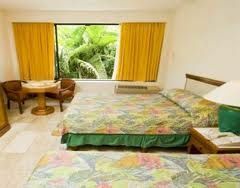 These Acapulco timeshares for sale at Sea Garden Acapulco offer both standard studio rooms and multi-room units. Studio rooms can accommodate up to two people, while you can choose units that come with either one bedroom or two bedrooms. These units can sleep between five and eight guests and come with a partial kitchen that is just the right size for making quick snacks, keeping your drinks cold and grabbing an easy dinner at night. You can take advantage of amenities and features like cable television, central AC, daily housekeeping and even purified and filtered water. 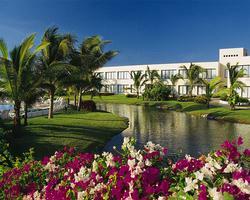 The Sea Garden Acapulco offers abundant activities for all guests. The resort hosts theme night events that show you how to identify constellations in the sky or let you watch films with your family. Other events hosted by the resort include game tournaments that take place in the clubhouse, classes that teach you how to make your own salsa and even trivia competitions. The resort has several swimming pools that are suitable for guests of all ages and lounge areas that let you watch your kids play. You can reach miles of gorgeous sandy beaches in just a few minutes. You'll also find yourself close to casinos, restaurants, nightclubs, museums and art galleries. 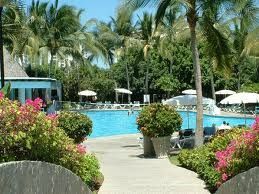 To find the best timeshare for a romantic getaway or for taking your kids on vacation, check out some of the Acapulco timeshares for sale that you can buy now. Contact Sea Garden Acapulco Specialist Today! Days: Friday, Saturday, Sunday, Thursday / Time: 5:00 P.M.